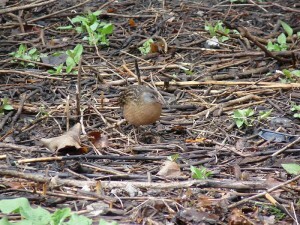 Karen spotted a very cooperative Virginia Rail walking around inside the small satellite hedge this afternoon, April 25. Virginia Rails always remind me of kiwis, though rails and kiwis aren’t closely related. 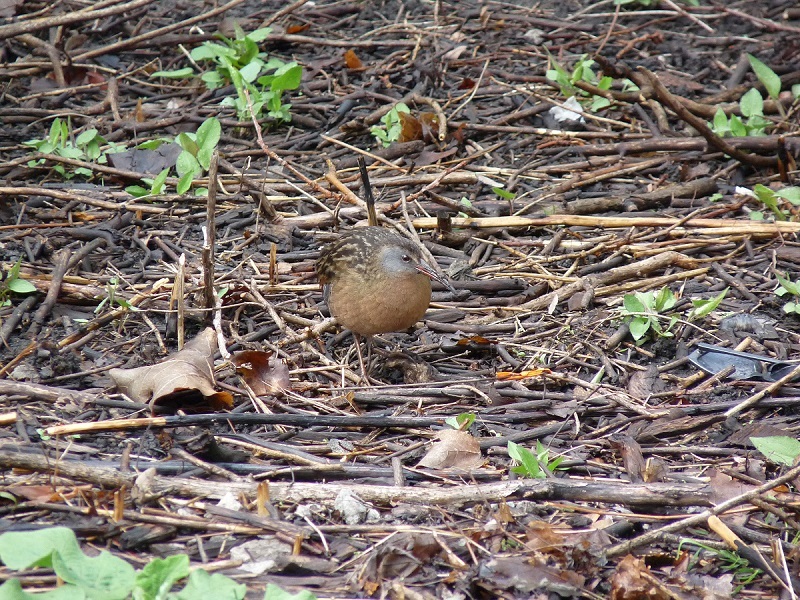 This entry was posted in Spring Bird Reports and tagged Rails, Virginia Rail on April 26, 2015 by rhughes. I did a brief lakewatch from the end of the fishing pier at Montrose this morning, April 19. There weren’t many birds moving but I did have 2 basic type Red-throated Loons flying north not far offshore. I think it’s getting late for this species. I also had numbers of Horned Grebes and Red-breasted Mergansers on the lake. Landbirds were scarce. This entry was posted in Spring Bird Reports and tagged Loons, Red-throated Loon on April 26, 2015 by rhughes.